Can Tho | Can Tho hotel, Hotel in Vietnam | Vietnam Hotels - Best prices guaranteed! Can Tho, the land of honest people, friendly smiles, green fields, laden-fruit orchards and romantic rivers, is located in the center of the Mekong Delta, Vietnam. Can Tho is regarded as "the green lungs of Mekong Delta region". The climate is harmonized favorable climate condition, few storm. It is hot, humid all year. Rainy season lasts from May to November, and dry season lasts from December to April. The annual average temperature is 27oC. Can Tho, which used to be called Tay Do (the west capital) is a big surprise to tourists with stunning landscape, friendly people and unique products of the Cuu Long Delta. 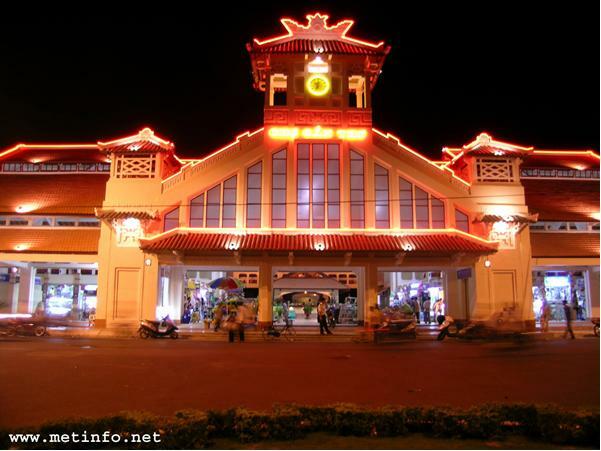 Ninh Kieu Quay, Cai Rang Floating Market are several special features of the city. The orchard tours, such as visiting My Khanh Tourist Garden and Bang Lang Stork Garden, Binh Thuy Ancient House, Ong Pagoda, Can Tho Ancient Market, Binh Thuy Temple, Nam Nha Pagoda really worth your visit during your time here. Apart from attractive tourist destinations, Can Tho also has a good system of tourists services such as hotels, restaurants, gift shops, etc which can help you enjoy your stay here.